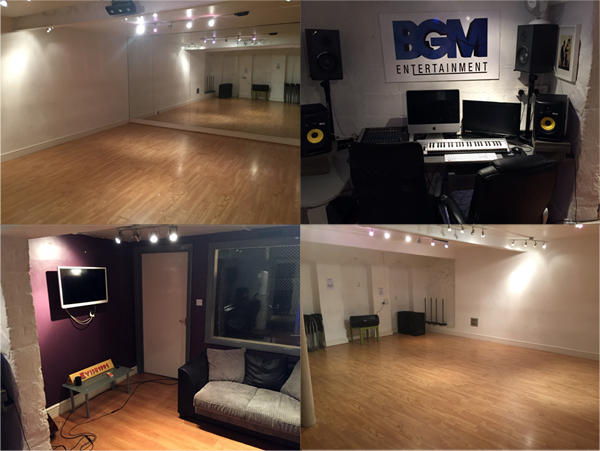 BGM’s dance studio is a bright and big space perfect for yoga classes, auditions, workshops, acting classes and similar. One of our regular clients are The Jersey Boys. This space also has a tuned piano, a boom box speaker you can plug your phone into and chairs free for use. BGM also has a top recording studio available for producers, singers or voice over professionals. Both Mac & PC, Rokit speakers and vocal booth. The studio can be booked with or without sound engineer. Get in touch by calling our office phone for bookings.